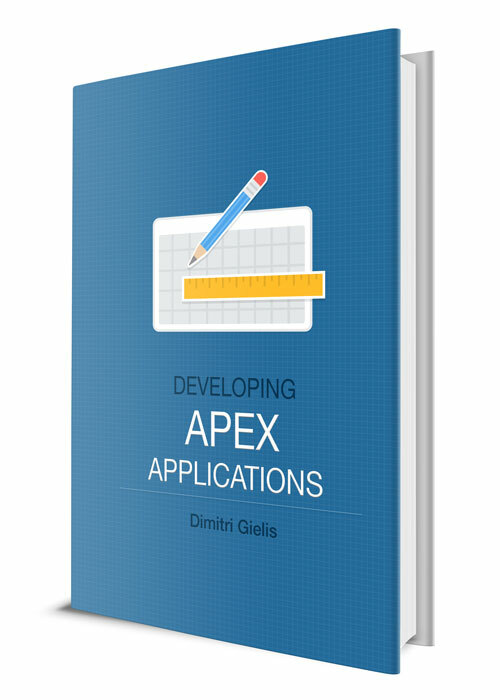 Last year I blogged about highlighting negative numbers in an APEX Report, the CSS only way. At that time I gave two alternative approaches; by using JQuery or SQL, but it looks like I didn't do those posts yet, till somebody reminded me. 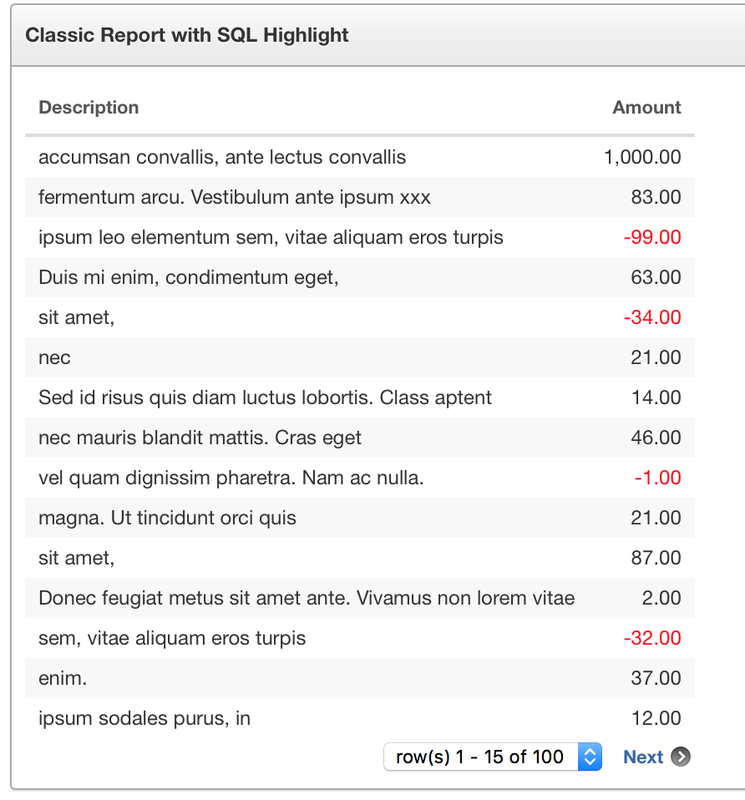 This post is about using SQL to highlight something in a report. The negative-number class we will add to some values. All the logic to know if it's a negative number will be in SQL. Why SQL you might ask? This example is very simple, but you could call a function which has a lot of complexity to decide if you want to assign a class to a record or not, the principe of this example is more important, that you can use logic in SQL to work with CSS. 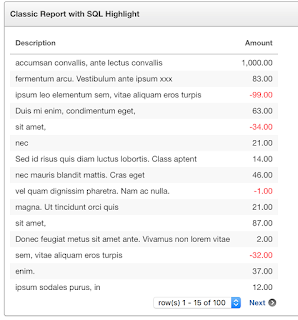 The Class column you can make Conditional = Never as it's something we just use behind the scenes. That's how you make a bridge between SQL and CSS.